ICM Group and its predecessor ICM Electrics had partnered with DNV-GL from 2001 to March 2017. 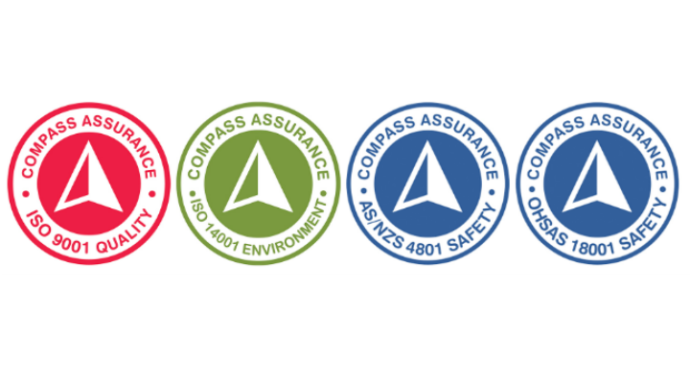 Since March 2017, ICM Group have partnered with Compass Assurance to ensure independent verification of our commitment to continually improve our quality management systems and customer focus. WE WERE THE FIRST WESTERN AUSTRALIAN ELECTRICAL SERVICES PROVIDER TO ACHIEVE MANAGEMENT SYSTEMS CERTIFICATION UNDER ISO 9001. Engineering, project management, installation, service and repair for electrical, electronic, auto electrical, oil and gas facilities and machine safety for the mining, marine, general commercial, industrial and utilities sectors. We at DNVGL would like to congratulate the ICM Group in achieving OHSAS 18001 certification to add to their existing certifications for ISO 9001, ISO 14001 and AS/NZS 4801. The ICM Group are taking an industry leading position in embracing holistic certification to these internationally recognized management standards. These standards provide the key principles to good risk management and provide a framework for continual improvement. We commend the ICM Group on embracing business risk management against these internationally recognized standards. We have earned our reputation for quality work that supports the productivity of our clients. ICM Group is dedicated to customer focus, to continual improvement in what we do and to our shared commitment with Compass Assurance.